I just listened to the saddest profile on NPR a moment ago. 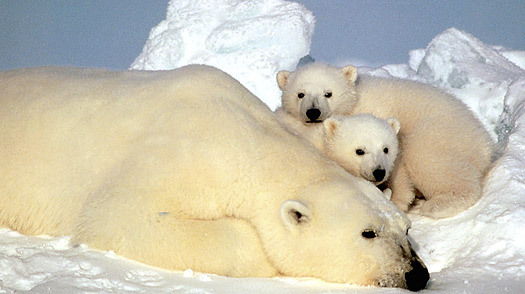 The polar bear will be extinct within 50 years. There are now only 20,000-25,000 of these beautiful creatures still living. How can that be? How can something so noble be killed by something so ignoble such as the pathetic most base and disgusting animal, the human? I quote from a Time Magazine article from 5/2009: "Polar bears have become the universal symbol of global warming, not so much because they're cute or cuddly (they're actually ferocious and not opposed to cannibalism.)" The photo above is from Time Magazine article and is by Fish and Wildlife Service / AP. Interesting enough, the elephant, my favorite animal despite its association with politics shown above, is also an endangered species in some parts of the world. 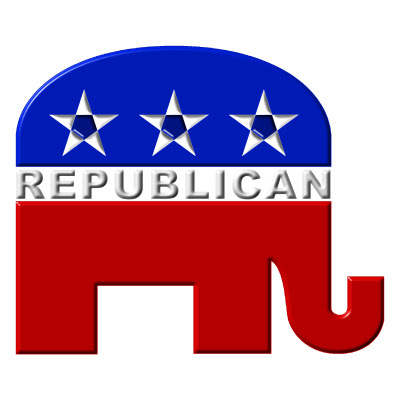 Perhaps there is only one species of elephant, the Republican one, that should become extinct? The sooner the better. Before they exterminate the rest of the world. I have always made a commitment to refrain from any politicization in this blog. I respect everyone's opinion, but I think that view is an anachronism these days. I would prefer to create something more beautiful and an alternative to the hideous ugly barbaric and ignoble political world that we live in the US. I will continue the policy with this blog because part of the reason I even do this blog is to discipline myself to look at the world positively, instead of slashing my wrists, which is what one does if one watches news these days. Forgive my lapse here. Ultimately, the thing that we should care about isn't politicians and faux politicians. But these beautiful creatures that we destroying. Elephants and polar bears. Not the cartoon characters depicted in the Republican logo above. Bravo for Time Magazin, NPR and YOU for trying to hammer this horrible point home. What can your average person do besides voting for politicians who are dedicated to fighting global warming? When one visits Alaska the shrinkage of the glaciers is very evident. Glacier "calving" used to take place during a few weeks each summer. Now it lasts all summer. Thanks again for this posting.